Imogen Foxell reports on the recent SCBWI Masterclass on black & white illustration at the House of Illustration, in preparation for the Undiscovered Voices Competition. 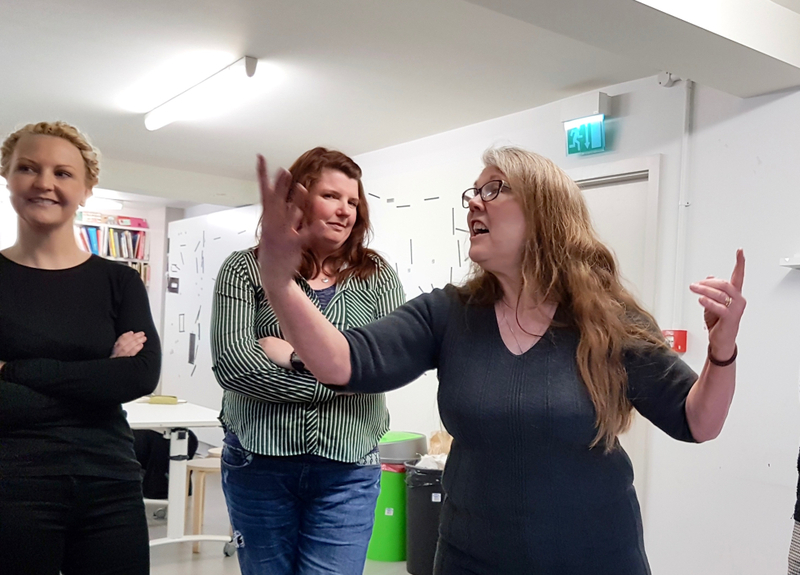 The Masterclass took place in the House of Illustration, and was run by Anne-Marie Perks, Loretta Schauer, and Patrick Miller. 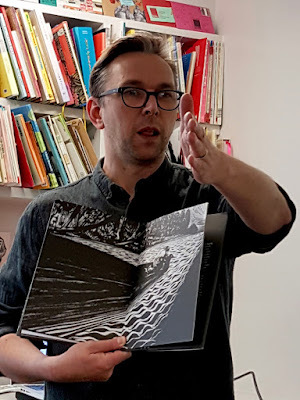 The topic of illustrating in black and white was immediately relevant for the Undiscovered Voices competition, but was also interesting and valuable in its own right. This workshop showed off some of the amazing black-and-white children’s book artwork that exists, and also the huge variety of styles and materials that can be used. Discussions of the artwork also led us on to general themes, such as composition and character interaction, that are relevant to any kind of illustration. This was the first SCBWI masterclass I’ve ever been to, and I would definitely attend more. It was good to share inspiration and tips with other aspiring illustrators. The workshop also featured mini-pains-au-chocolat and some very upmarket kitchen roll (see below). 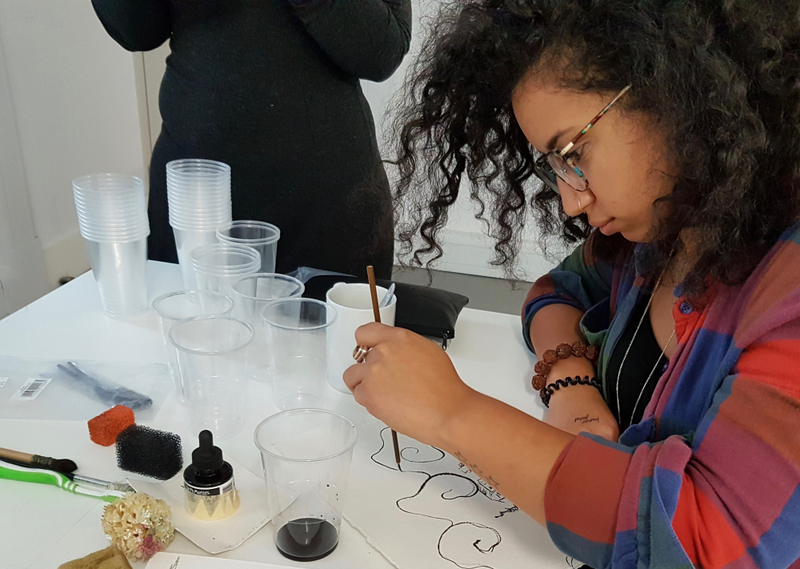 For the first couple of hours, the three workshop-leaders showed us a wide range of black and white illustrations that they find inspiring, as well as some of their own work. These ranged from classic illustrators like Tove Jansson to many people working today. There were a large number of illustrators and books I’d never heard of before, but will now be seeking out. Unsurprisingly, everything was pretty remarkable, but I’ve tried to pick a few of my personal favourites: Alex T. Smith’s clever modern version of 101 Dalmatians; Sarah Warburton’s evocative use of sparse loose lines; Lorenzo Mattotti, who somehow manages to make his tiny figures seem important, even as they are swamped by dark, elemental landscapes; Levi Pinfold’s haunting pencil drawings; Jillian Tamaki’s evocation of character and movement. And of course Tove Jansson, always! Anne-Marie, Loretta and Patrick had all brought in an appetizing array of stationery, which was very exciting (surely all illustrators are also stationery obsessives), and kindly let us play around with everything and get graphite powder all over our hands. This was also the point when we got the mini-chocolate croissants and tea (NB important to distinguish the latter from paint water). I enjoyed the graphite powder, which gets everywhere, but creates a fascinating pencil-smudge layer, which can then be ‘stirred’ in interesting ways using a dry or wet brush. I also liked the putty rubbers, which can create surprisingly light areas in a pencil or graphite drawing. Loretta pointed out that materials don’t have to be expensive – interesting things can be done with toothbrushes or children’s felt tips. 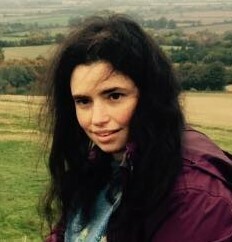 She also revealed an invaluable piece of equipment – her precious piece of Waitrose kitchen towel – apparently it’s highly superior for wiping things (other upmarket supermarkets are also available). 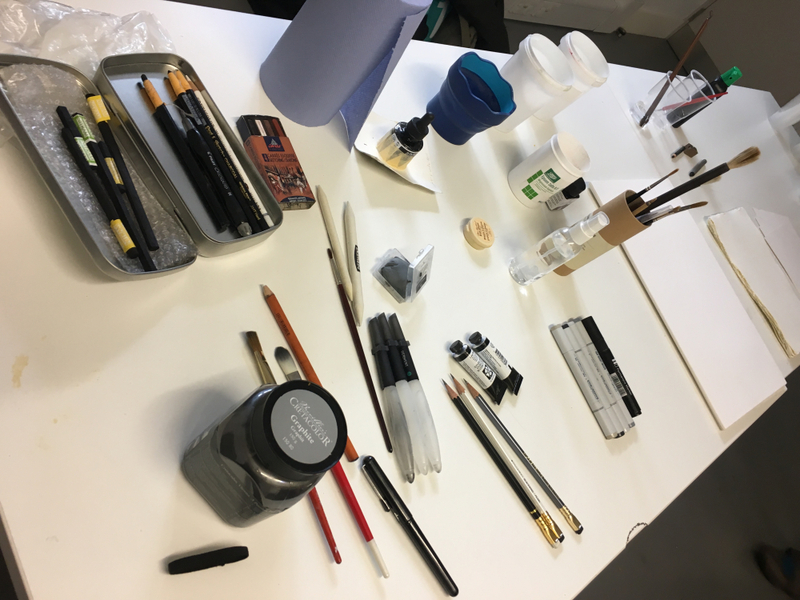 Both the materials demonstration and the artists we looked at showed how varied black-and-white work can be – from pencil drawing to broad brushstrokes to collage (paper or digital). All through the workshop, we were discussing tips for making black-and-white drawing (and drawing in general) effective. The topic of framing came up a lot. This could be white borders round a drawing (perhaps with the odd element breaking through), or framing elements within the drawing (such a cave mouth or Levi Pinfold’s magical mirrors). The importance of white space, negative space and contrast are also related to this, as a way of bringing focus to the picture. The judges of the Undiscovered Voices competition mentioned the importance of character interaction in the entries. Interaction may be physical, but we also discussed the how to convey non-physical interaction, and in particular the importance of characters’ gaze. Anne-Marie passed on the idea that all elements of the picture (from landscapes to bystanding seagulls) should be supporting the main characters in the picture. At the very end of the workshop a few of us showed some of our own black-and-white work, or early ideas for the competition. There was lots of useful feedback and I’m slightly further ahead in thinking about my competition entry. Good luck to everyone entering Undiscovered Voices! Imogen Foxell writes dictionaries by day, and spends the rest of her time drawing things like swirly trees, giant beards, and depictions of obscure words. 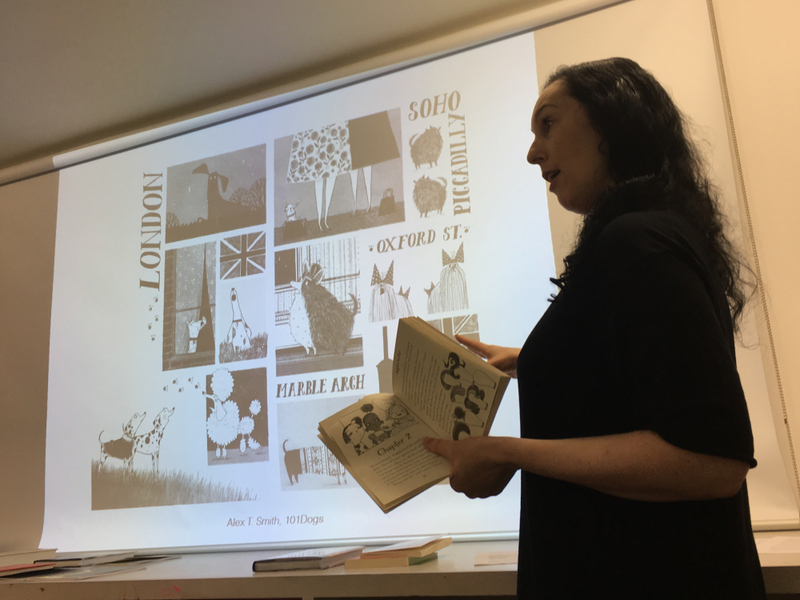 Thank you, Imogen, for giving us the details of Black and White Illustrations Masterclass. It is very helpful. I wish I could have been at this, it sounds fantastic! Thank you for telling us all about it, it's the next-best-thing :) P.S I have an un-opened bag of graphic powder, that has been on my shelf for a looong time. I think it might be time to open it! This is great, thankyou for sharing your experience of the masterclass. I too was unable to go and hoped someone would review it. Super stuff with insightful pointers to consider. Thanks again.